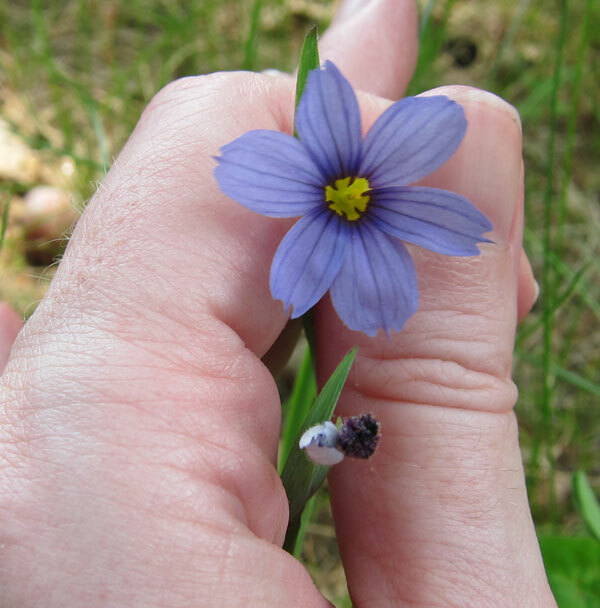 Blue Eyed Grass - or Sisyrinchium - belongs to the Iris family of plants. 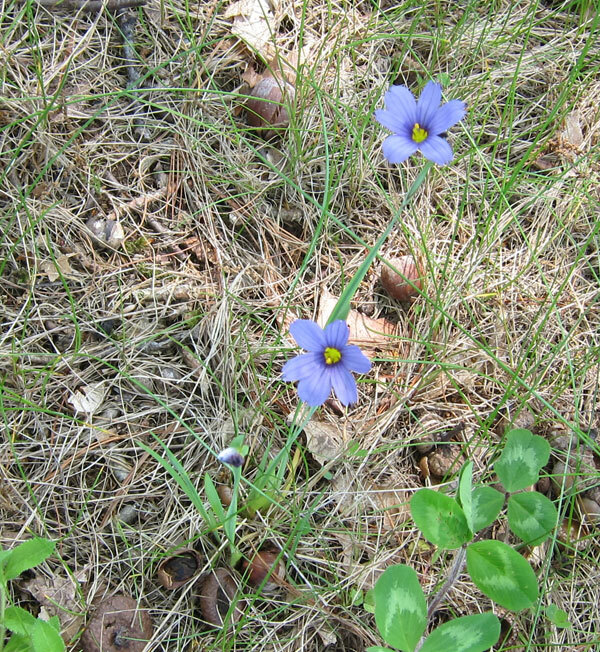 It is blue in color and has six petals, with a yellow center. 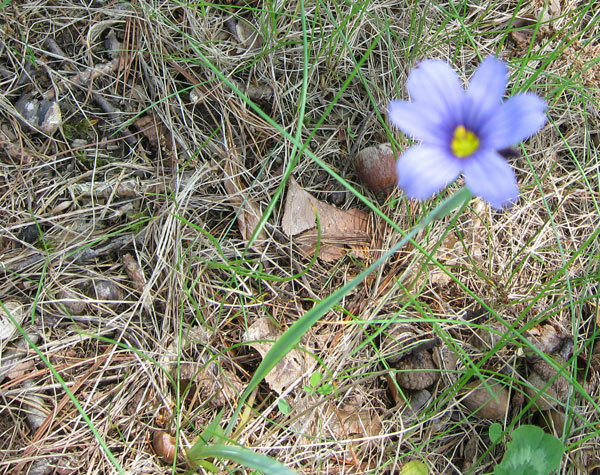 The blue petals have thin darker blue stripes on them. These plants are native to the US and are found all over Massachusetts. The grass stalks are very thin so the only way I could get a sharp photo of the flower was to hold it still with my hand. I photographed these at the Blackstone National Golf Course in Sutton in May.